Volkswagen is proud to announce that it has won Motor Trends 2015 Car of the Year Award! And now, we would like to share with you the secrets of our success. Beating the competition came down to three important areas of attention: Design, Efficiency, and Chutzpah! Design- We took the design of previous Golfs and lowered the body by an inch, cut sleek lines, and smoothed surfaces to produce a vehicle this not only visually appealing but more efficient. We designed the interior to complement every detail of the exterior so that the design inside and out was one continual flow. Efficiency- our engineers decreased the weight by including ultra-high-strength steel (actually stronger than normal steel) and enhanced engine efficiency to produce a 2.0 L, 210 hp turbocharged engine that produces a jaw-dropping 36 miles per gallon. That's right, you did see turbocharged and 36 miles per gallon in the same sentence! Chutzpah- some call it guts, others call it audacity, and still others call it boldness. We just call it over 30 years of German engineering experience. The more one hones their craft, the more one is able to break away from tradition while still maintaining the elements of mastery. This is the part where it's difficult to put one's finger on any one element. Is it the seven active stability enhancement systems? Perhaps the Fender Premium audio system? The XDS Cross differential system? The quality seating and technological features? Whatever it is you have to find out for yourself. 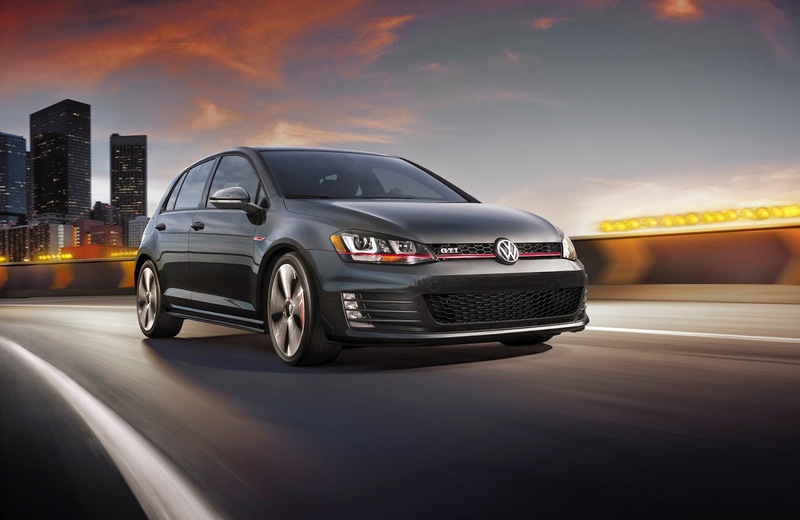 Come test drive the 2015 motor trend car of the year at the Olympia Automall. No matter which Golf you drive we know you will emerge grinning from ear to ear. If you're looking for the best new or used cars Tacoma has to offer come to the Olympia Automall.